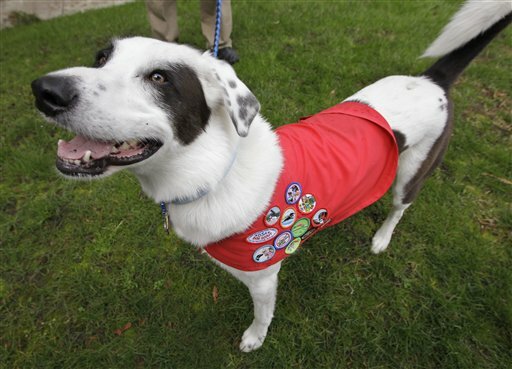 Any dog that’s ever envied a Boy Scout’s badges or a Girl Scout’s sash now has their chance to earn that regalia as part of the fast-growing Dog Scouts of America. With more than 38 troops aournd the country and growing, you and your pooch can join in an earn badges for obedience, high-jumping, game-hunting and cleaning up abandoned dog poo. That last one doesn’t seem quite fair to dog owners because they do the work and their pooch gets the badge. This entry was posted on Wednesday, April 4th, 2012 at 2:23 PM. It is filed under Blog. You can follow any responses to this entry through the RSS 2.0 feed.